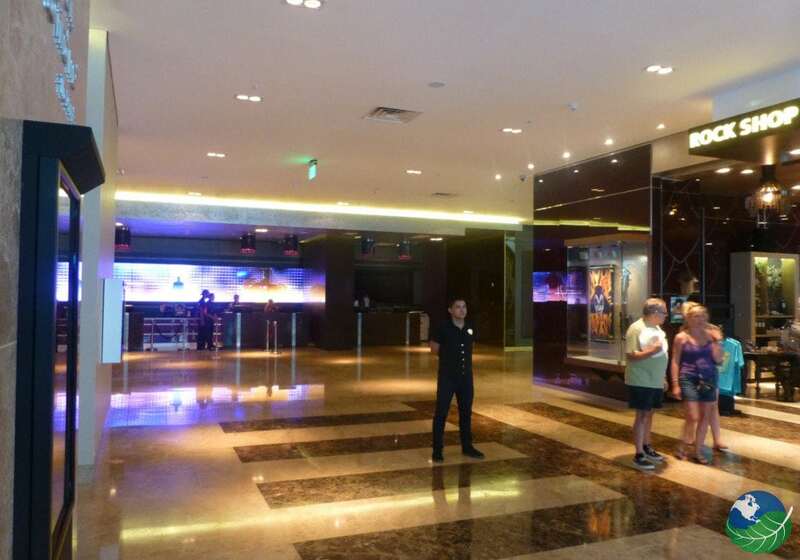 Hard Rock Hotel Panama Megapolis is one of the hottest destinations in Panama City! Located in the center of Panama City, this hotel will give you the true rock star experience at the same time offering high-end luxury. 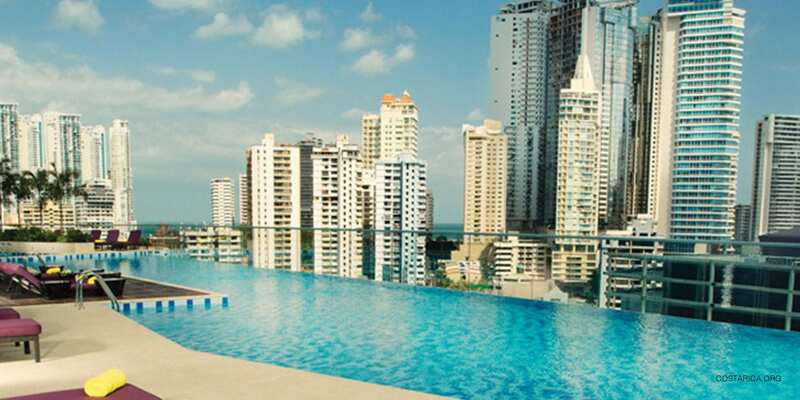 You will have stunning views of the city and bay of Panama. 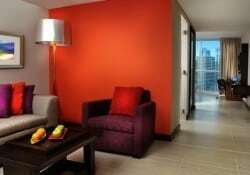 You will be in awe of this 66-story building; Hard Rock Hotel Panama Megapolis offers 1,500 luxurious and stylish rooms and suites. 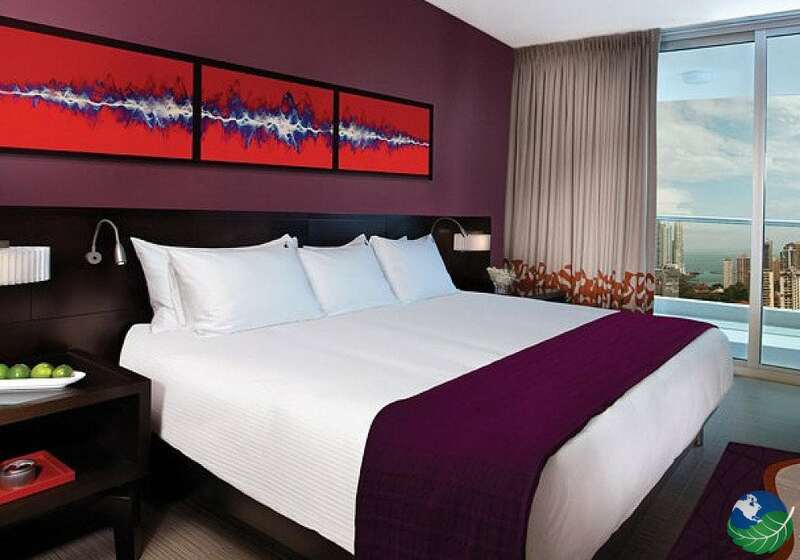 All the rooms are designed with Hard Rock style with rock decorations and music to match. The rooms offer incredible views with floor to ceiling windows. 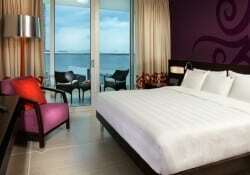 Many rooms and suites have balconies offering spectacular views of Panama Bay and city. At the Hard Rock Hotel Panama you will have the opportunity to visit the Rock Spa where you can have a variety of treatments or have the spa come to you in your room! Also located in the hotel is the Rock Shop where you can pick up souvenirs from your stay. If you need information on the surrounding area stop by the tour desk for helpful advice. Want to work out? 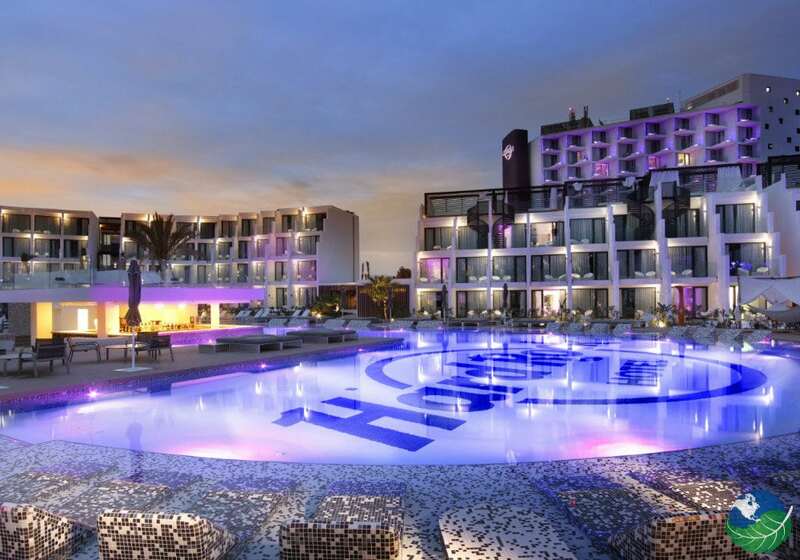 The Hard Rock Hotel offers Body Rock a state of the art gym. After your workout stop by the Juice Bar for a healthy drink. When you wake up in the morning head over to the Café located in the hotel. 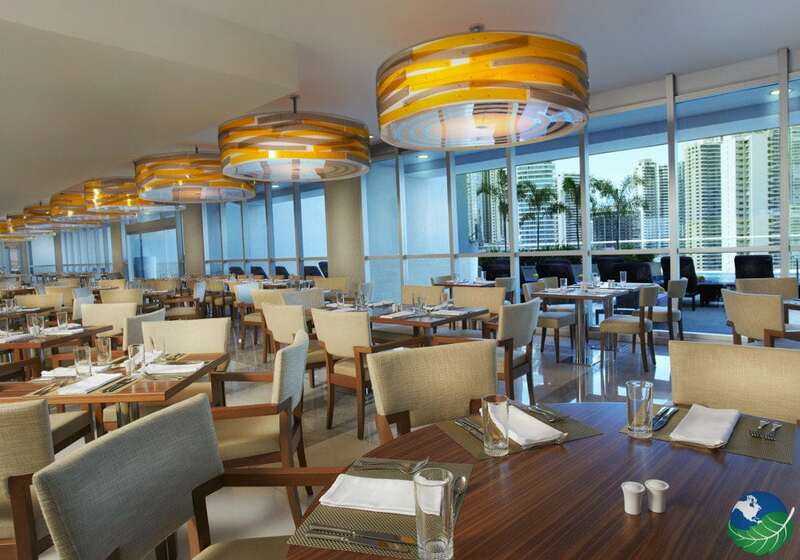 Then for lunch and dinner, you can dine in the world class restaurants the Hard Rock Hotel offers. 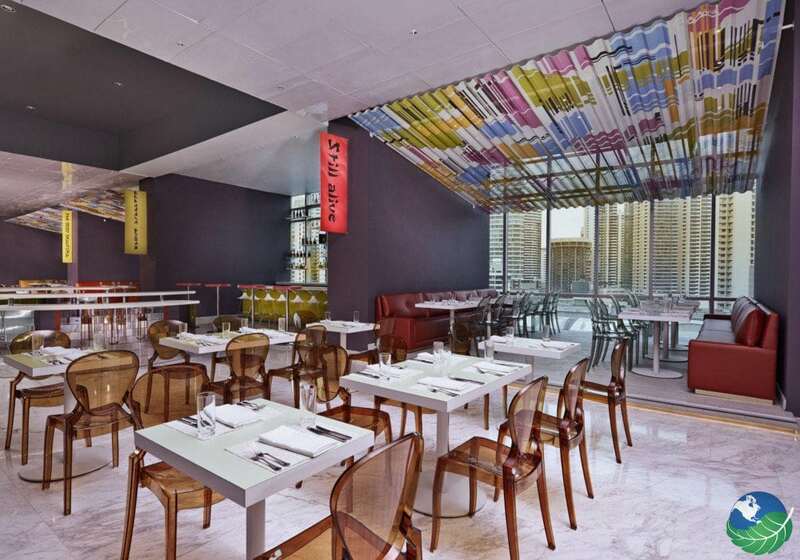 There are also seven bars located in the hotel; there is sure to be one to suit your taste. From the Float Pool Bar offering a pool party atmosphere to the Roof Lounge Bits on the 62nd story! 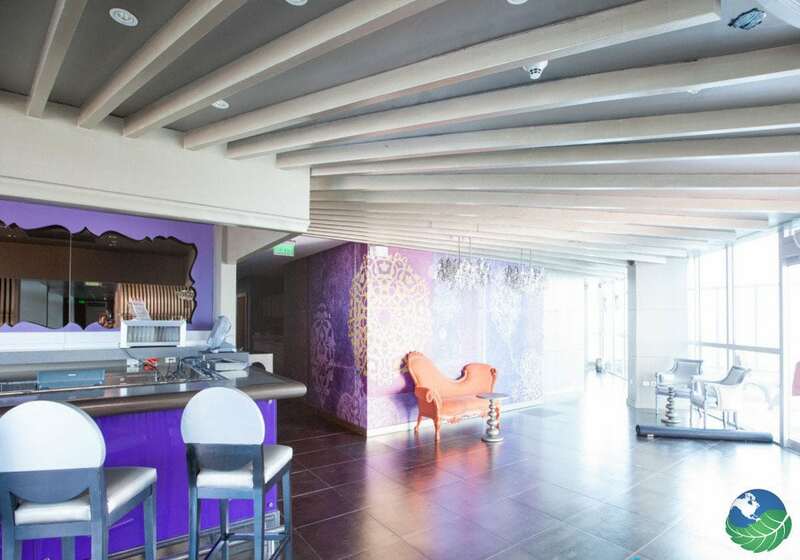 The lounge on the roof offers 360° views and is impressive day and nights. For a game of luck visit the Majestic Casino in the Hard Rock Hotel Panama where you can play a variety of table games and slots. The casino offers shows and live entertainment. While the adults enjoy the Majestic Casino, the kids can enjoy Teen Spirit. This is a kids club where fun activities and games are offered for all ages. Trained and experienced staff supervises everything. The Deluxe rooms come with one king size bed, WiFi, a TV, balconies with ocean view are available, a desk, coffeemaker, refrigerator and a mini bar. The studio suites come with a separate living space, a desk and chair and a king size bed. 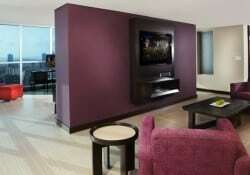 The suites have WiFi, a TV, coffeemaker, refrigerator and a mini bar. The suite comes with a separate bedroom and living area which has a sofa bed, a TV, king size bed, WiFi, a coffeemaker, refrigerator and mini bar. The suite has a separate living and dining area and comes with a living room, bedrooms, a TV, king size bed, WiFi, a coffeemaker, refrigerator and mini bar.